LYNCHBURG, VA – If you spend time with God and learn His voice then He will direct your steps. That’s the message Oklahoma Sen. James Lankford (R) delivered to thousands of students gathered for convocation at Liberty University on Monday. 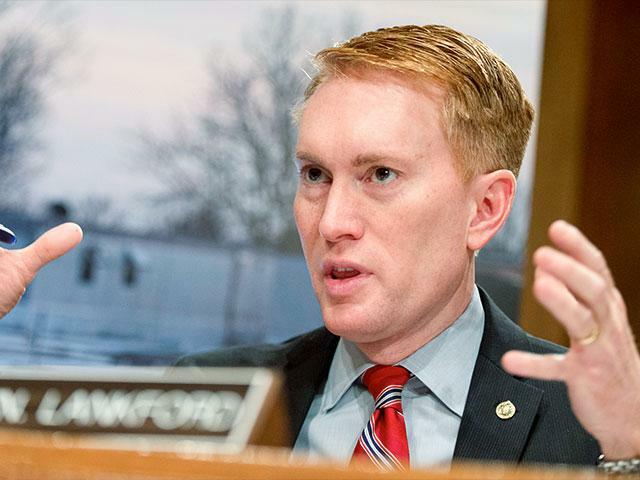 “Over and over in the Bible Jesus says, ‘Come follow me,’ ” Lankford told them. As students grapple with questions about what they’re going to do after college, Lankford reminded them of Jesus’ disciples. “The revolution in the Christian life is when you stop being obsessed with the ‘what you do’ and you become obsessed with the ‘who you follow,’ ” he said to applause. He encouraged students to get into God’s Word, hang out with other people who follow God and spend time in prayer alone with God. “If you’re not spending time alone with God, you’re not going to hear His instruction,” he admonished. “This is the part of scripture that Joy Behar calls ‘mental illness,’ ” Lankford said, referring to “The View” co-host’s recent comments about Vice President Mike Pence’s faith. “This is the part where people say, ‘God speaks to you?’ Yes. That’s what ‘follow’ me means,” Lankford said.